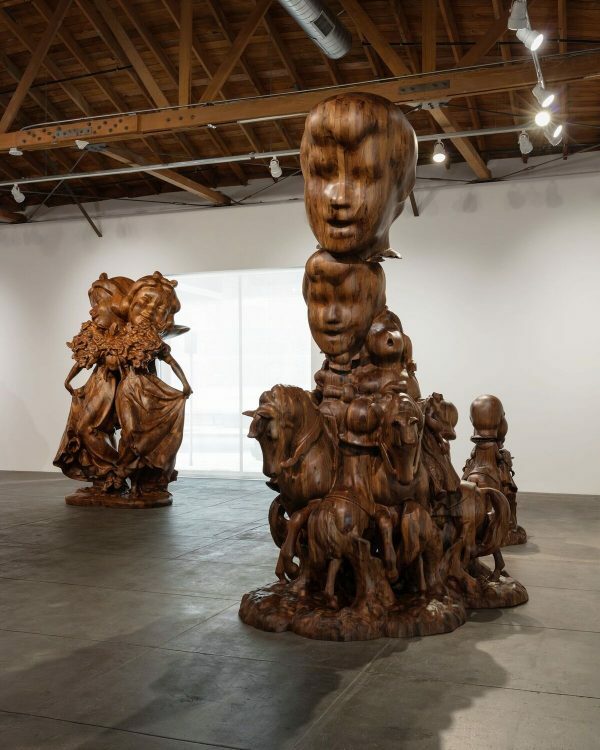 Since it opened on March 13, 2016 the Hauser & Wirth gallery in The Los Angeles Arts District, a 116,000 square foot complex with spacious galleries and associated facilities, has become one of LA’s prime art destinations. Rather than choosing to locate in the midst of Beverly Hills“bling,” the Hauser & Wirth management was prescient in establishing itself in an evolving downtown neighborhood. Its first exhibition “Revolution in the Making: Abstract Sculpture by Women, 1947-2016,” attracted 6,000 on opening day followed by daily attendance hovering around 600. 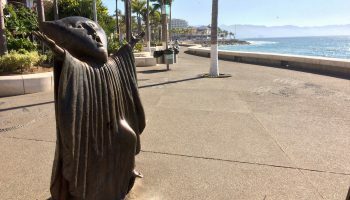 In the ensuing 17 months, a total of 210,00 people have visited its galleries; others have eaten at its Manuela restaurant, or shopped at its ARTBOOK store. 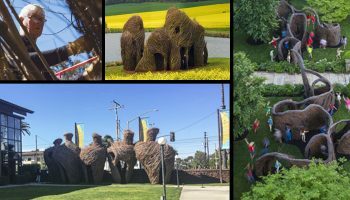 There is no question that Hauser & Wirth has established a personae that exudes praise for both its art exhibitions, its facilities and its ambiance. With three new exhibitions: Takesada Matsutani, Paul McCarthy, and Monika Sonowska now on view, Hauser & Wirth is offering another international caliber art experience. One’s first Hauser & Wirth encounter might suggest that you have entered an art museum. That impression is never totally dispelled. 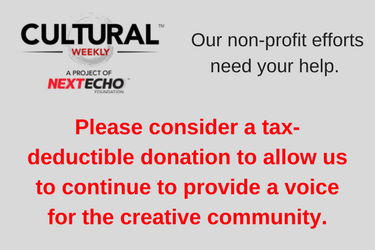 Here, we find a cultural institution/commercial enterprise amalgam. It is necessary to remember that this gallery on East First Street is the LA outpost of an international commercial art gallery with similar enterprises in New York City, Somerset, England, and Zurich, Switzerland. Without question, the Hauser & Wirth galleries are defining a new type of commercial art gallery – one that feels more like an art museum, one that is user friendly and one that no longer connotes a temple of exclusivity. Absent is the hauteur often associated with commercial art galleries which might offend the uninitiated. 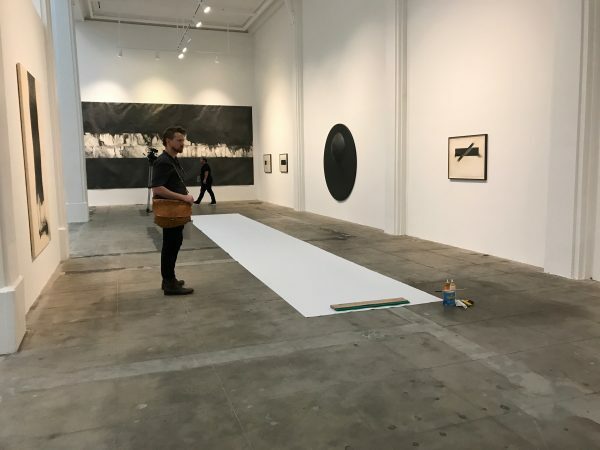 In order to understand the Hauser & Wirth phenomenon, it would be useful to examine the roots and history of 21st century commercial art galleries. With the birth of capitalism in 15th century Italy, art became a commercial commodity. Guilds served as agents negotiating between artists and patrons. In 18th England, the Royal Academy initiated exhibitions where artists could show and sell their work. In 19th century France, the government and the Academy of Fine Arts sponsored an annual Salon where artists could present and sell their work. It was not until the last quarter of that century that commercial art galleries emerged as representatives of living artists. In 1870, the Durand-Ruel gallery of Paris, the progenitor of current commercial art galleries, opened its doors. 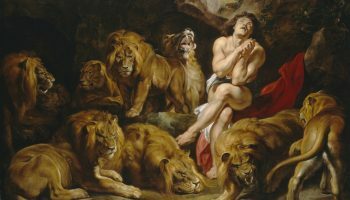 Subsequently, there were branches in Brussels, London and New York.The Durand-Ruel stable included: Cassatt, Degas, Manet, Monet, Pissaro, Renoir and Sisley. Concurrent with Durand-Ruel, Ambrose Vollard represented another contingent: Paul Cếzanne, Aristide Maillol, Georges Rouault, Paul Gauguin and Vincent Van Gogh. As European artists became more experimental and transformative at the beginning of the twentieth century, a cadre of art dealers emerged who served both as agents and interpreters of the avant garde. At this time, Daniel-Henri Kahnweiler was one of the most prominent. He represented some of the significant inventive French artists of the first quarter of the twentieth century: Pablo Picasso, Georges Braque, Kees Van Dogen, Andrế Derain, Juan Gris, Fernand Léger and Maurice de Vlaminck. In the 1960s New York became the epicenter of the art world. Leo Castelli emerged as the exemplar of the late 20th century art dealer. The Leo Castelli Gallery opened in New York at 4 East 77th Street on February 10, 1957. In 1958 the gallery gave Jasper Johns his first exhibition. 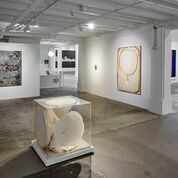 Within 10 years, the gallery became the international promoter of Pop, Minimal, and Conceptual Art, representing among others: Robert Rauschenberg, Cy Twombly, Frank Stella, Roy Lichtenstein, Andy Warhol, James Rosenquist, Donald Judd, Dan Flavin, Robert Morris, Bruce Nauman, and Keith Sonnier. What was once considered to be radical and experimental serving a limited audience of cognoscenti has now become less classic appealing to wider audiences. Think of the crowds at the Museum of Modern Art in New York. Navigating the galleries, approximates rush hour on the subway. The mercantile art world now supports an international constellation of innovative painters, sculptors, printmakers, mixed media and performance artists. In some respects, the international art market mirrors the global stock market as an avenue for investment with growth potential. Today, it is impossible to think of any artist’s work devoid of its economic associations. Plexiglas Box, 1966 / Foreground and Work-E. Two Circles, 1966 / Right wall. 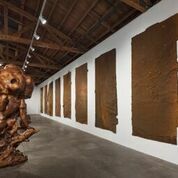 Having confirmed the history of commercial art galleries since the end of the 19th century, and the exalted position that Hauser & Wirth commands in the art gallery world, it is appropriate to consider the work of the three artists, one American, one Japanese and one Polish, currently on display. In pristine white galleries we are introduced to a selected display covering five decades of his work. 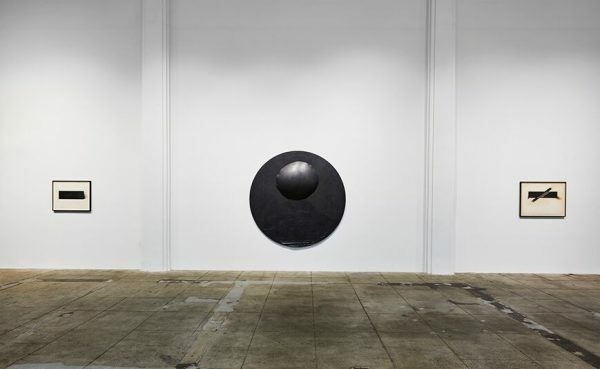 From the early 1960s to the 1970s, Matsutani was a key member of the Gutai Art Associaton, Japan’s innovative and influential art collective of the Post World War II era. Inspired by contemporary European modernist/abstractionists, breaking with tradition was their ethos; this involved the use of non-traditional materials. To this day, Matsutani is dedicated to the use of off-the-shelf chemical products. One of his favorites is polyvinyl acetate (Elmer’s glue). He applies it to the surface of a canvas and manipulates it to create distinctive forms and textures. Matsutani developed this methodology further making use of hair dryers, fans and his own breadth to create textured surfaces. Center, Venice Stream, 2016. Right, Untitled, 1976, and left, Untitled, 1976. These three works, with total emphasis on black and white contrast, demonstrate his innate Japanese aesthetic which has hardly been diminished by decades of living and working in Paris. At the press preview, he created a floor work using a large squeegee and paints that his wife had just purchased at a local store. 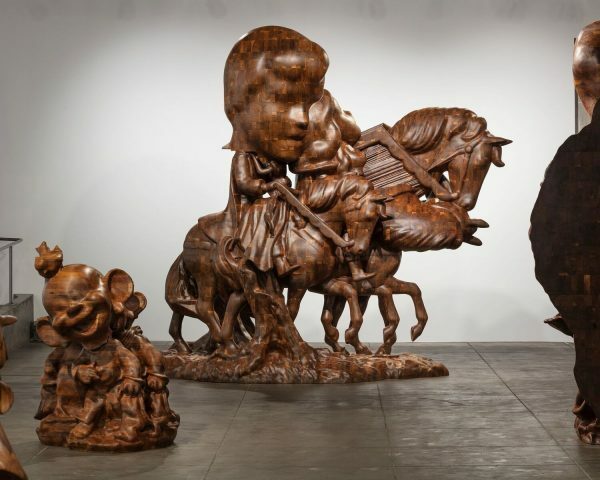 What a contrast to go from the pristine black and white aesthetic of Takesada Matsutani to the monumental bulbous Baroque wooden sculptures of Paul McCarthy! Over the last fifty years, Los Angeles based Paul McCarthy has worked in a broad swath of media: sculpture, performance, photography, painting, film and installation. In this exhibition we see three distinct categories of his work: White Snow Spinoffs, Wood Statues and Brown Rothkos. An unconventional artist, his work has been described as undermining traditional American complacency. Another way of putting it is to say that he parodies reverence. Demonstrating this unequivocally are his Brown Rothkos which consist of carpet, foam and sprayable polyurethane coating. 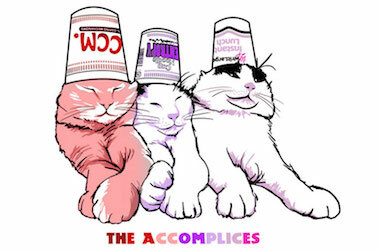 One might ask, “Is this whimsical or serious?” It might be both. His Brown Rothkos can be seen hanging on the wall. His “White Snow” series of sculptures connotes a derisive reference to the German storybook character. Although inspired by Disney’s Snow White, McCarthy intentionally reverses nomenclature from Snow White to White Snow. McCarthy could be described as a multidisciplinary artist working in varied media, often concurrently. They include: performance, installation, film, painting and sculpture. His points of reference are things typically American such as B-movies, Disneyland, soap operas and comics. He is critical of mass media and consumerism. Originally, formally trained as a painter, McCarthy’s main interest lies in everyday activities and the mess created by them. Much of his work in the late 1960s was similar to the work of Happenings founder Allan Kaprow, with whom McCarthy had a professional relationship. 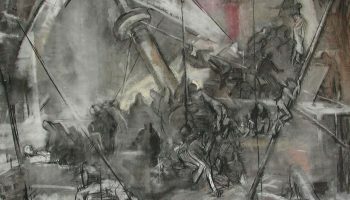 With regard to the works on display here, they represent McCarthy’s current interests while incorporating previously utilized themes. Throughout his career, in all his work, there is one recurring theme: a parody of reverence. 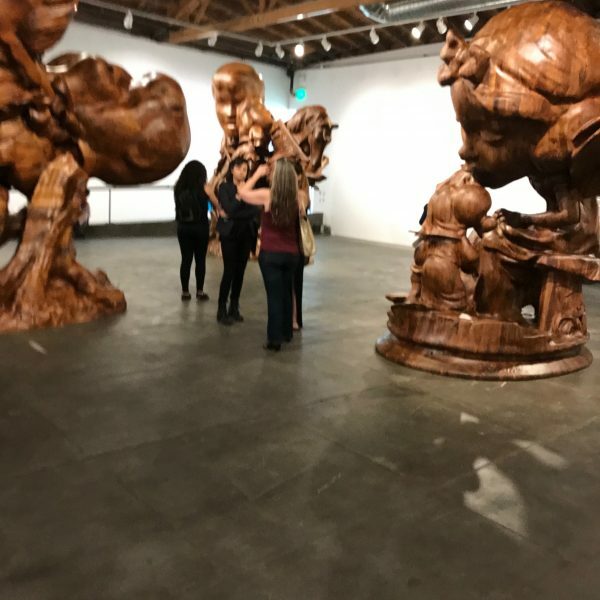 Entering this gallery after Paul McCarthy’s, is like walking into another world – one of logic and discipline with clearly articulated forms. Monika Sosnowska is a Polish artist of the Post-Soviet era. From the end of World War II until the fall of The Berlin Wall on November 9, 1989, Poland was a Soviet socialist satellite in which there was little or no contact with contemporary experimental art or artists. This exhibition features a new body of work that responds to characteristic elements of existing 1960s Polish architecture and that embodies reflections on personal experiences. Her sculptures are spatially expansive unifying floors and walls as seen above. 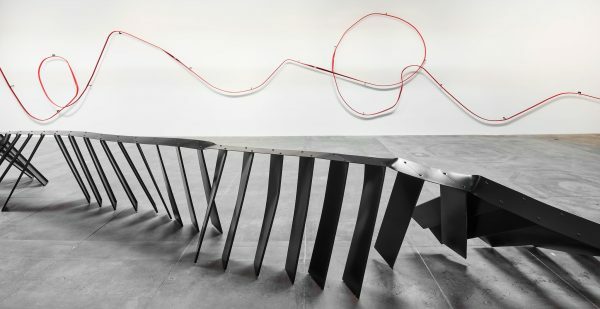 Wrought from industrial materials and objects, Sosnowska’s sculptures are exemplary Post-Modern following a continuum of sculptural breakthroughs marked by Louise Bourgeois’s monolithic spiders, Tony Smith’s spatial matrices and Robert Morris’s large-scale modular units. They also reflect a debt to constructivism and suprematism. Sosnowska is one of the few Polish artists of her generation who has been consistently dedicated to sculpture.